Big House Books – Page 2 – A nonprofit organization sending books to inmates in Mississippi correctional facilities. 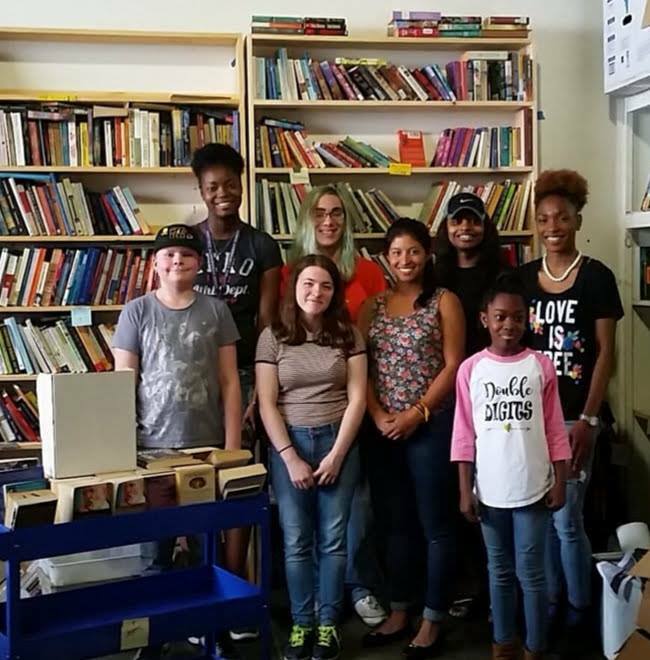 Big House Books is a non-profit, volunteer organization that sends free books by request to prisoners in Mississippi correctional facilities in order to promote literacy and be a vehicle of change for prison reform. Not only do we have the best volunteers, but we also have the best visitors. Thanks to URJ Mitzvah Corps for including us in your travels to learn more about social justice projects in the south! We have a new t-shirt design, just in time for our favorite event of the year- the Mississippi Book Festival. If you pre-order, it helps us keep more money free for postage costs, and allows you to pick the color you want! Get yours here. Thanks to the amazing work of Attorney Rob McDuff and Beth Orlansky from the Mississippi Center for Justice, we are no longer barred from sending books to Parchman or South Mississippi Correctional Institution, and are officially written into the Dept of Corrections policy. This also paves the way for other nonprofit groups who send free books, or will send books in the future. We could also use new packs of colored pencils, as some prisoners are able to receive them. Thanks!